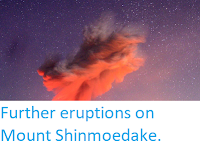 Sciency Thoughts: Eruption on Io Yama volcano, Japan. 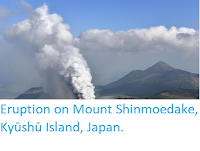 Iō Yama, a 1562 m stratovolcano (cone shaped volcano made up of layers of ash and lava) at the northwestern end of the Kirishima Volcanic Complex on southern Kyūshū Island, erupted suddenly slightly before 3.40 pm Japan Standard Time on Thursday 19 April 2018. 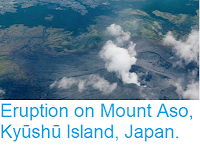 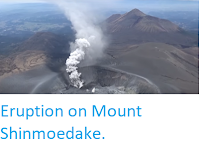 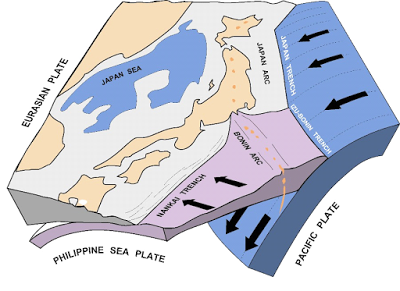 The Japan Meteorological Agency has issued a warning to avoid going within 3 km of the volcano, due to the dangers of flying rock fragments or pyroclastic flows. 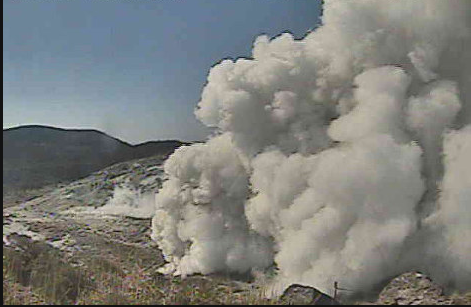 Eruption on Io Yama on 19 April 2018. 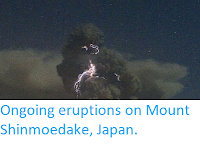 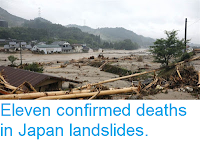 Japan Meteorological Agency.